Simangavole perform the traditional yet powerful Maloya rhythm, the music of the slaves of Réunion island, a French territory located in the Indian Ocean between Mauritius and Madagascar. 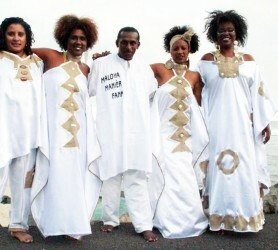 Maloya is usually sung in Réunion Creole, traditionally with a purely percussion accompaniment. Maloya can be compared to the American music of the blues, often lyrically reflective speaking of the woes of life, slavery and poverty and is similar in its chant-response structure. Maloya also has links to Sega, the folk music of the Mascarene Islands which comprise Mauritus, Rodrigues, Seychelles and Réunion. Maloya was banned until the sixties because of its strong association with Creole Culture. Performances by some maloya groups were banned until the eighties, partly because of their autonomist beliefs and association with the mantra of the Communist Party. There are known artists in the community who were imprisoned for practicing Maloya however, in 2009, Maloya was inscribed on the Representative list of the Intangible Cultural Heritage of Humanity of UNESCO. 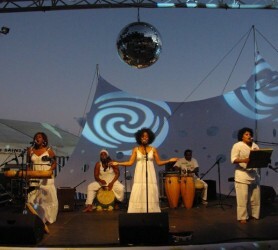 Simangavole have performed internationally in France, Africa and also New Caledonia. They made their Australian debut in 2011, showcasing for the first time at the Australasian World Music Expo. 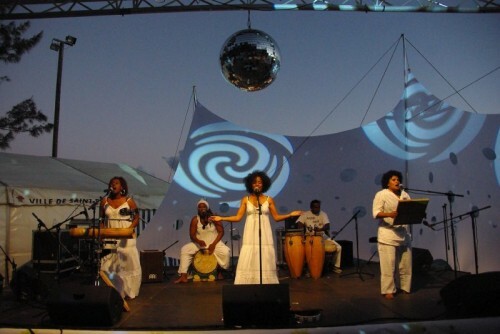 Their impressive festival debut at the 2011/2012 Woodford Folk festival featuring the Dreaming saw audiences flock to discover the power of Maloya and artists invite them to perform as special guests across stages, including the iconic Woodfordia amphitheatre. With lyrics that draw from raw emotion and feeling, this high energy performance from the Island divas deliver an unforgettable live experience.